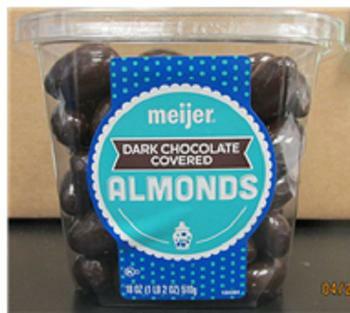 Meijer is recalling select Meijer branded bulk dark chocolate products that contain may milk, an allergen not declared on the label. They come in clamshell packaging with a label listing the above-mentioned UPCs. Customers who purchased the recalled products should discontinue using them immediately and return them to the nearest Meijer store for a full refund. Consumers with questions regarding the recall may contact Meijer at 800-543-3704 24 hours a day, seven days a week.